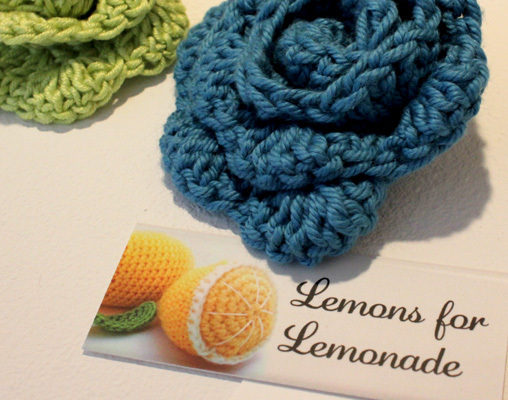 Lemons for Lemonade Emma Blackie A chance encounter in a haberdashery store led Emma to crochet, and she’s been hooked (sorry) ever since! Focusing on both the practical and the pretty, Emma’s work embodies her mantra “when life hands you lemons, make lemonade” - creating little bundles of happiness out of yarn. She has built her reputation using social media as her weapon, and now creates one-off pieces for professional photo shoots as well as receiving private commissions and selling “off the peg” items.